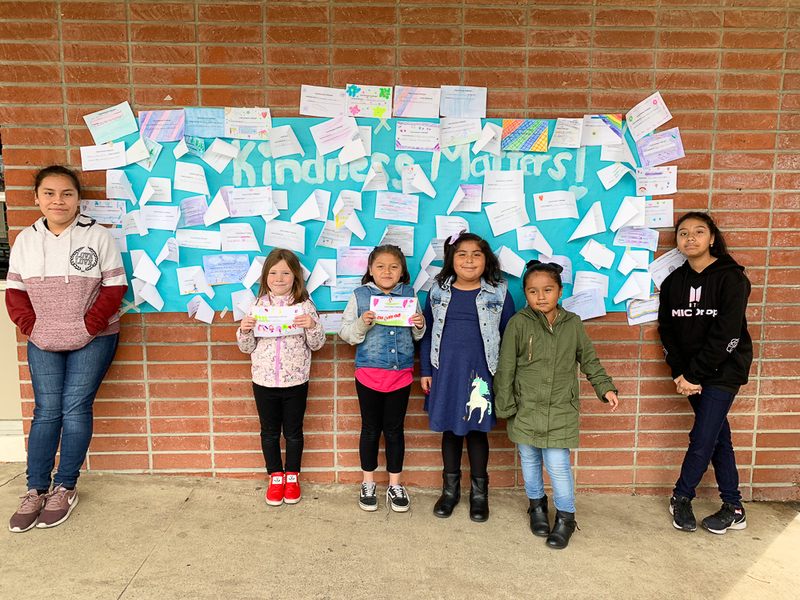 The Ruby Drive Elementary School Leadership Team and Student Council mobilized their campus to spread kindness at school and in their community. This is an event that schools may participate in worldwide to instill kindness and compassion. Ruby Drive students were encouraged to participate by completing a challenge checklist of kind acts at school, including things such as “smile at 25 people,” “invite a new friend to play,” “thank someone who has helped you,” and “entertain someone with a happy dance.” Even families were invited to participate by completing a family challenge checklist at home! Throughout the week, students were given the opportunity to contribute to a school-wide poster campaign displaying how “Kindness Matters.” The event was a great success! Be the first to comment on "Ruby Drive participates in the Great Kindness Challenge"